Rashid Abdul, an 18-year-old refugee from Afghanistan, first arrived in England on the back of a truck at the age of 12. Five years later he is to receive the prestigious Prince’s Trust Rising Star award after penning a book about his journey to the UK: War Child. The coveted award is to be handed to him by Prince Charles, who, after reading the book, described it as an “inspiring story”. In 2011, Rashid was an 11-year-old when his father had been killed in the conflict, a tragedy that exacerbated his mother’s epilepsy. She would eventually succumb to her illness. Despite the seemingly insurmountable loss, Rashid managed to channel his grief into a sense of resilience and determination. Determination for a better life; a yearning for a place where he could study and develop and maybe change the world for the better. After the loss of his parents, Rashid did what he could to scrape together money and resources. He collected scrap metal, using whatever money he accumulated to buy tomatoes, which he then sold at a local market. As war in the country showed no sign of relenting, Rashid’s foster father made a risky decision. 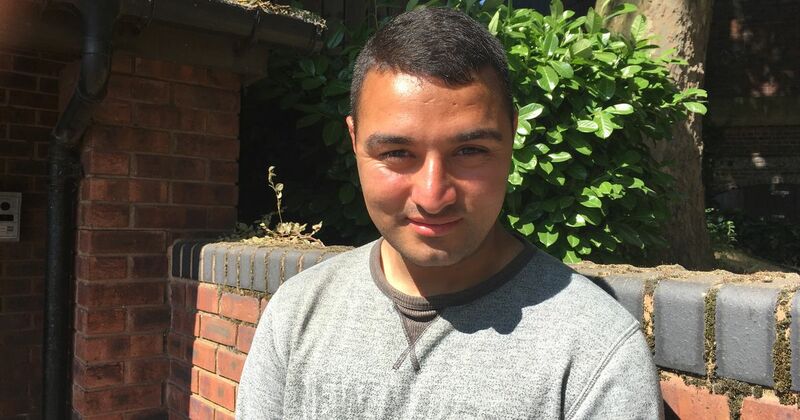 He sold his farm for around £8,000 in order to pay for Rashid’s passage to Europe – a place where the young boy could have a chance at a better life. Rashid entered college after completing school, where he continued to excel academically. In his spare time, he started volunteering for the Prince’s Trust. “I want to show people that despite what you’ve been through you can achieve your dreams. You just have to keep going.” he says.he says. Read the rest of Rashid’s amazing story, War Child, which is available online here.